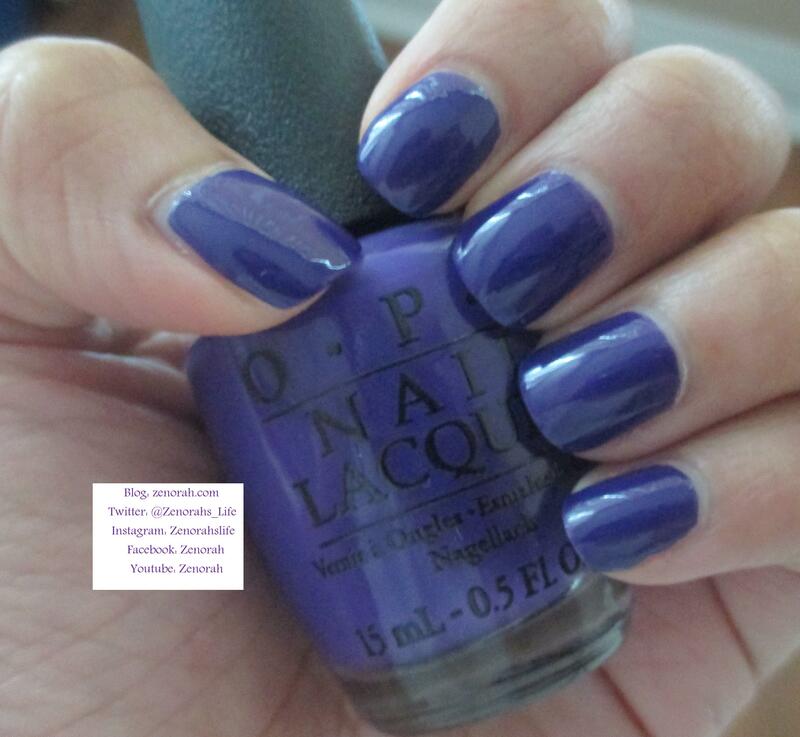 Hi everyone, so today I have the only polish I purchased from OPI’s new Fall/Winter 2014 Nordic Collection and in my humble opinion it’s the BEST polish in the entire collection. If you are looking to buy just one from the Nordic Collection, get this one – you will not be disappointed!! 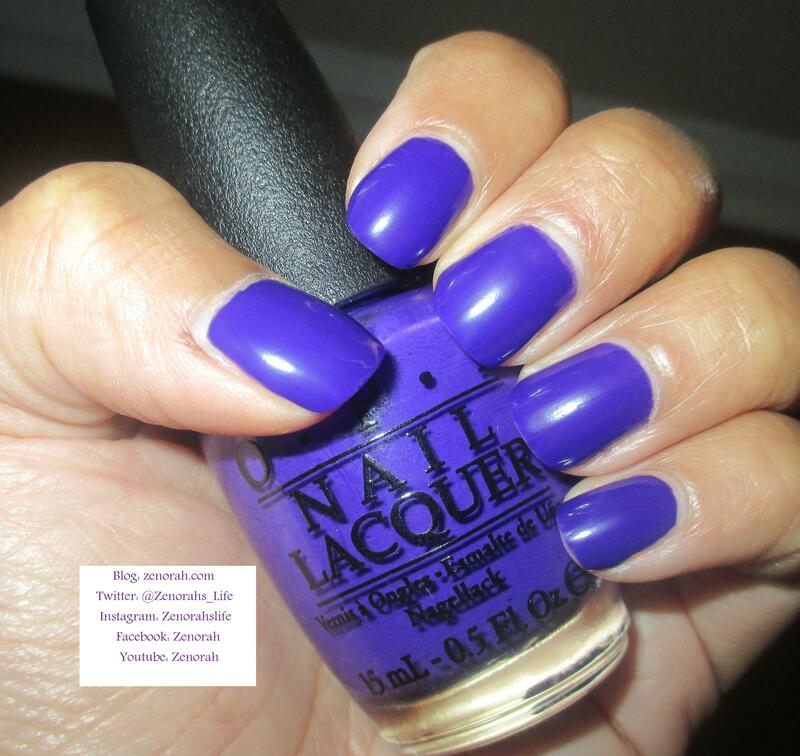 OPI ‘Do you have this color in Stockholm?’ – is a true burple (blue & purple) crelly polish that is brand spanking new from OPI’s Fall/Winter 2014 Nordic Collection. This such a unique polish to OPI that I do foresee them including this in their permanent collection because it’s just THAT beautiful! This is probably one of the most TRUE to colour photos I was able to capture. 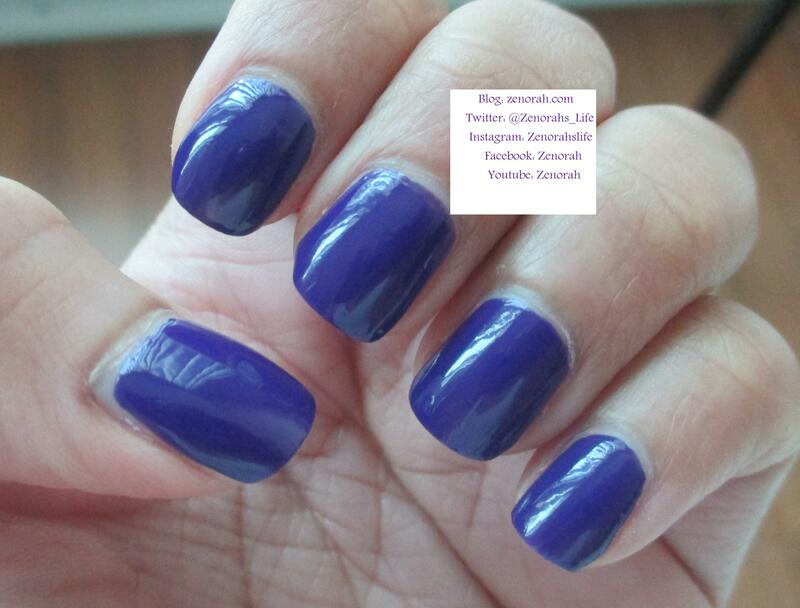 Being a true burple it is really hard to capture both colours in photo – it’s vibrant yet dark I LOVE IT! The application was interesting though, from looking at it in the bottle you think it’s a cream polish, however it is has a crelly formula meaning when you apply the first coat it is shear, runny and can be patchy. 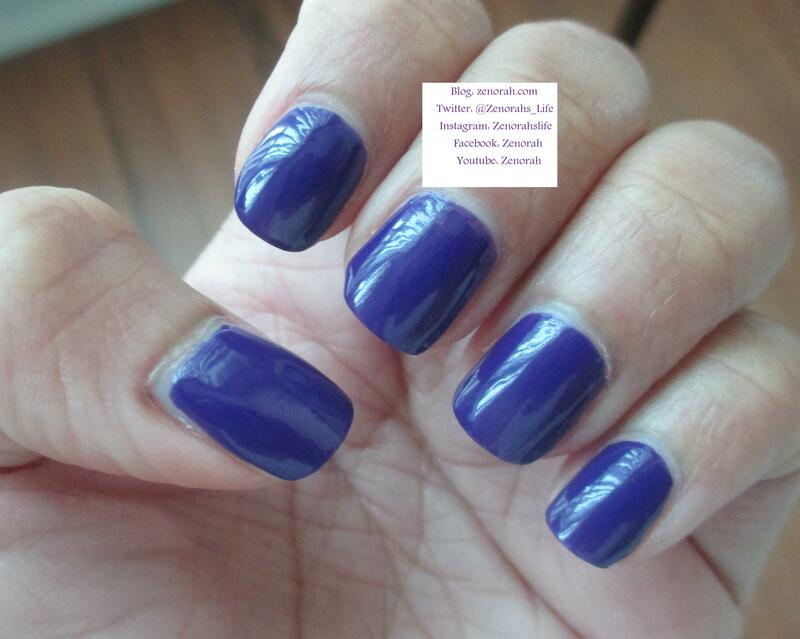 However it is completely opaque on two coats and it was much easier to apply the second coat. I think one of the reasons why I love this polish so much is how refreshing it is to see something unique in a Fall collection that is typically filled with burgundy, dark purples, taupes and army greens. I will definitely be rocking this polish as often as I can and if this is the only one I purchased in the entire collection, that’s definitely speaking volumes. PS: What is up with every polish brand raising their prices?? UPDATE: Where have I been??! That color is gorgeous….. I haven’t gotten any from that collection yet! May have to get one!